Riverside! Sweeping Views! Refined Elegance! Museum Quality Original Detail throughout! Grand Parlor Duplex with Parking! 1450SF! Towering Ceiling Height! Lovely Receiving Parlor with Ornate Original Fireplace and Majestic Period Mill work! Great Room with Corner Fireplace, Bookcases and stately wood paneled wainscoting! Massive Oversized Bay Windows! Sweeping Open Front to Back Living Space! Inspiring Craftsmanship is Everywhere! Wonderful Chef’s Gourmet Kitchen with Custom Cabinetry, Beveled Glass Display Case & Endless counter space! Extremely Flexible Floor plan offers Multiple Bedroom Suites! 2 Bedrooms & 2 Full Baths en suite! Great Closet Space and added storage! Amazing Panoramic Views of the Charles River & Boston Skyline from the large common Roofdeck! 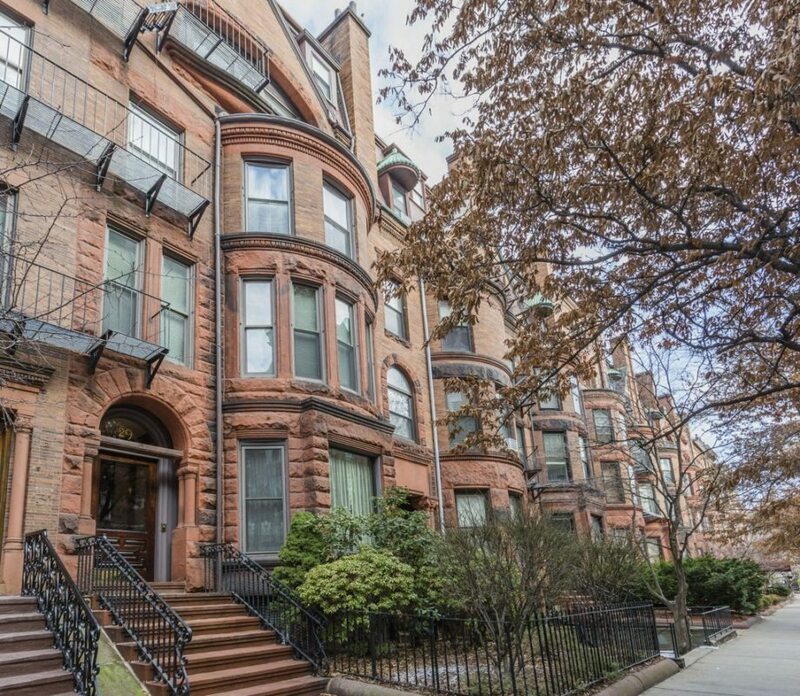 Enjoy the ultimate in City Living in this Majestic & Historic Brownstone Townhouse! Investment Grade Opportunity! In the Heart of Boston with easy access to Everything! Don’t Miss Out on this Wonderful Opportunity! Click Here to see a Virtual Tour!